Destiny is almost here, and it’s time to see if Bungie has a brand new franchise on their hands that can stand the same test of time that Halo has. You’ve tooled around in the beta, the game has gone gold and nothing, I repeat, nothing, can stop the game from arriving. If your enthusiasm for it is still riding high, then this trailer for Destiny will most likely not help the fact that you’re getting impatient waiting for the game to arrive. A fireteam heads out on an epic, action-packed road trip across our Solar System to face our enemies, take back what is ours and, in the end, Become Legend. From the creators of Halo® and the company that brought you Call of Duty®. 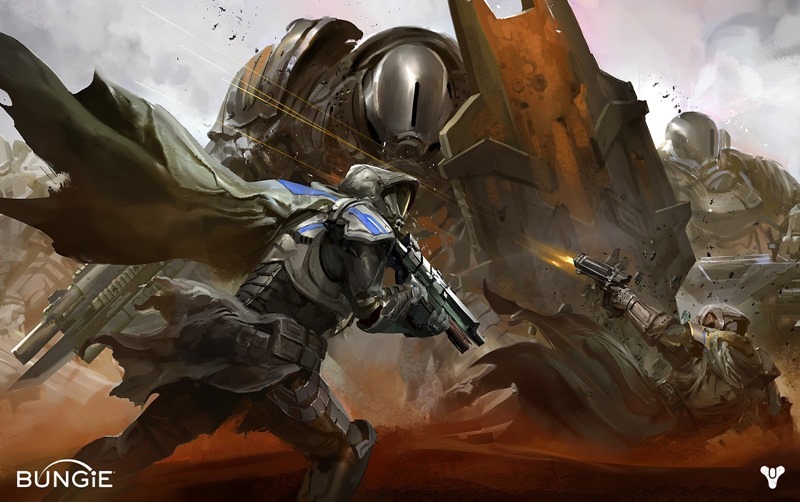 Destiny is a next generation first person shooter, with rich cinematic storytelling set in huge worlds to explore. Personalize and upgrade your Guardian with a nearly limitless combination of armor, weapons, and visual customizations. Become Legend in intense cooperative, competitive, and innovative public gameplay modes that are all seamlessly woven into an expansive, persistent online world. Venture out alone or join up with friends. Destiny is out next week, on any console platform from Sony and Microsoft that your loot ‘n shoot heart desires.